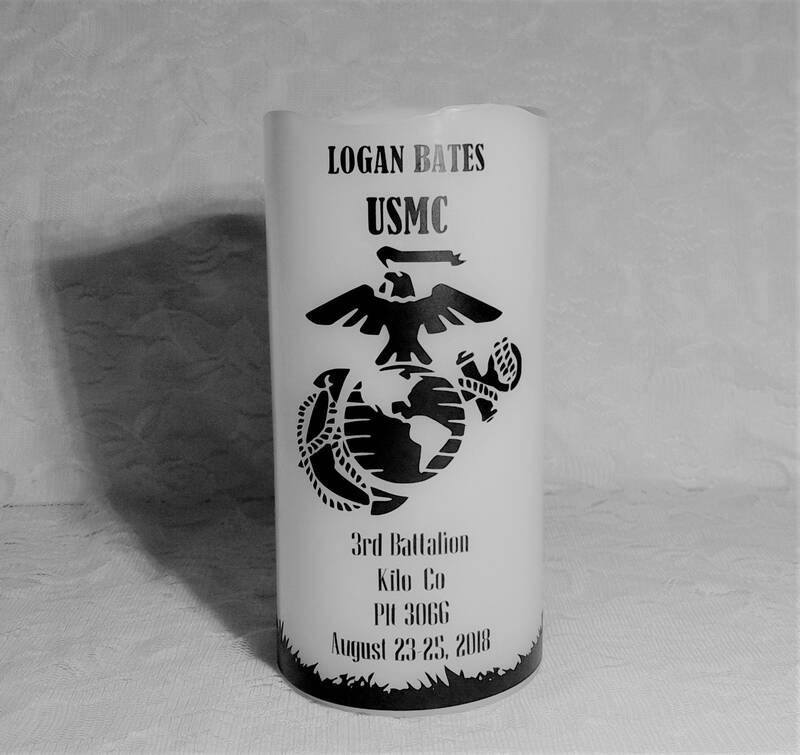 This Personalized Strong and Courageous Crucible Candle is the perfect gift for a Marine . 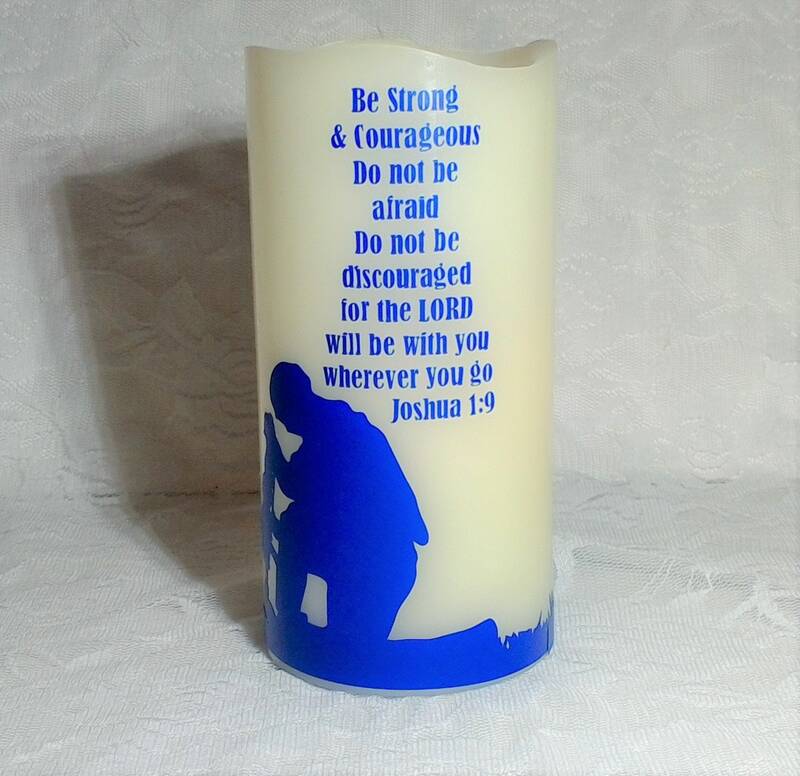 Help encourage your loved one with a Decorative Flameless Wax Candle. 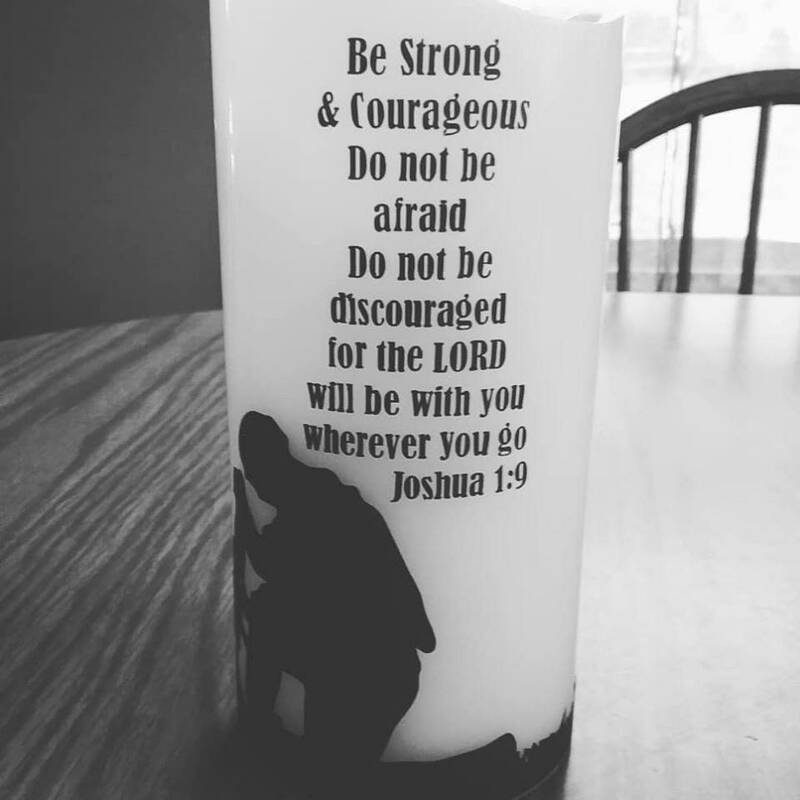 These Candles are perfect for Small Rooms including Dorms. 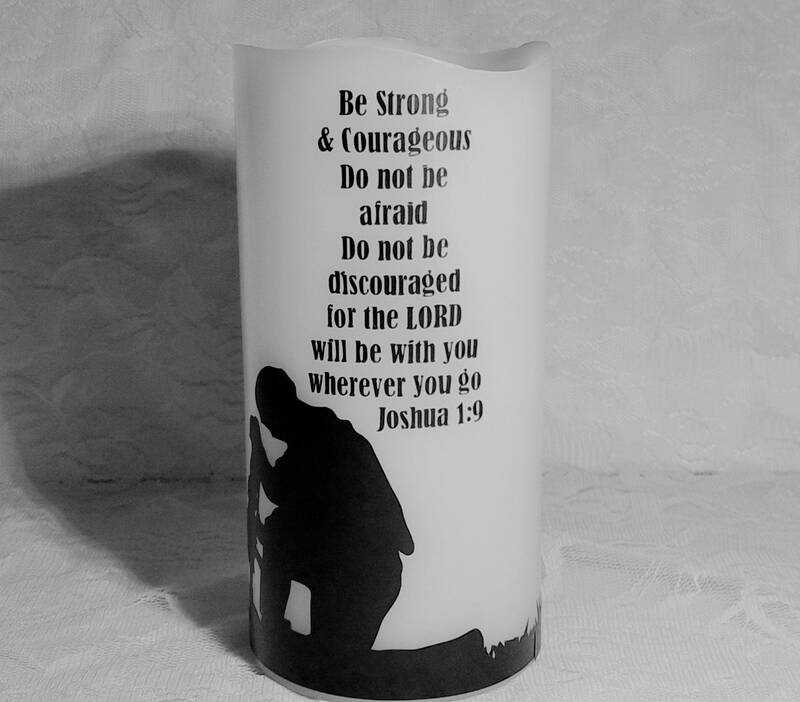 Image reads: USMC with Logo with personalization on one side and Joshua 1:9 Praying Marine on the other. 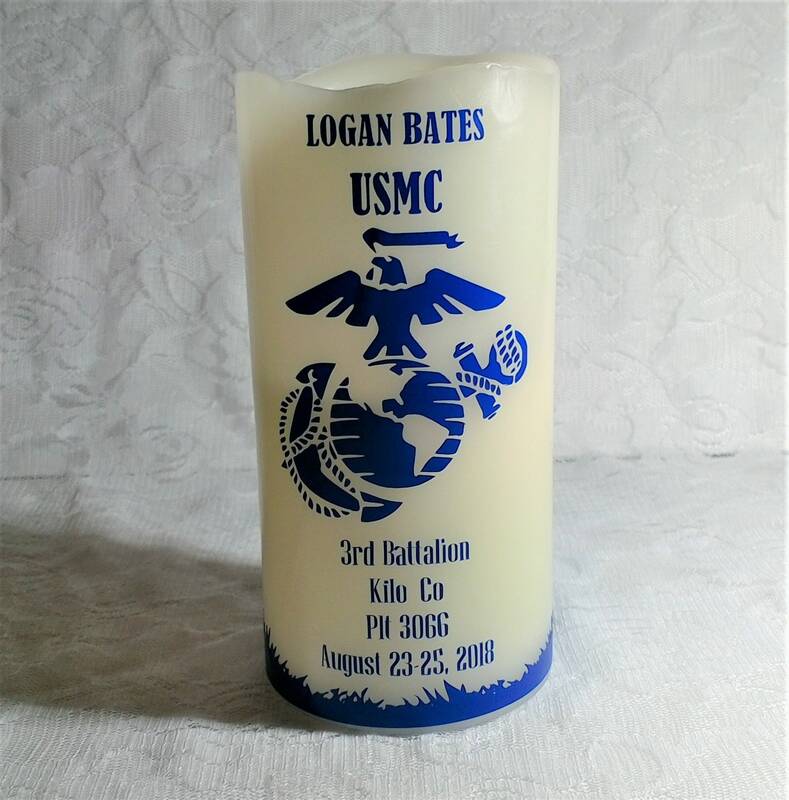 The flameless candle measures 3"w by 6"h. The candle is battery powered. The imprint is high quality permanent vinyl. Color of vinyl can be changed to fit your needs.